You have to hand it to Congress. Not only have they blown health care reform, but they have given new leases on life to the HMOs, which are obviously the biggest winners of whatever the heck Washington is wasting its time with as the job market burns. Oh, and did anyone really think that Joe Lieberman would be in favor of this nonsense? He's got too much horse sense to put shackles on American business. Wellpoint ( WLP, which I have been saying is going to $70 given the expansion of the multiple, is the standout off this debacle, but I wouldn't mind owning UnitedHealth ( UNH - Get Report) now. It is so clear that the Republicans aren't going to let anything meaningful happen except something that raises rates for all companies and makes tons of money for the HMOs that the irony cannot be lost on people. I am now of the opinion that this "reform" is a total fiasco and the premiums for companies will go up 50%, which is why these companies rock. So many stocks in the health care complex -- from Baxter ( BAX - Get Report) and Bard ( BCR and Becton ( BDX - Get Report) to Zimmer ( ZMH and Medco Health ( MHS and Express Scripps ( ESRX -- have become the biggest winners in this market because health care reform turned out to be a way for health care companies to make tons of money. It is a handout to them. In the old days I would have said Congress is a bunch of morons. Now I just say that Nancy Pelosi and friends seem to just want to make health care companies rich at the expense of everyone. She's given you a green light to keep buying. Who said this Congress is anti-business? I don't think even the previous pro-business administration would ever have given this kind of handout to business. At the time of publication, Cramer had no positions in the stocks mentioned. You've got a trend masked by the Intel ( INTC - Get Report) investigation and masked by some endless vacillations in some other non-tech Nasdaq-ers, as well as some option pinning in Microsoft ( MSFT - Get Report), even as it hits a 52-week high. And that's a trend in the semiconductor capital equipment plays, one of the single most important categories when you are trying to determine the real strength of the tech sector. Take a look at Novellus ( NVLS and Applied Materials ( AMAT - Get Report) or Kulicke & Soffa ( KLIC - Get Report) and KLA-Tencor ( KLAC - Get Report) or ASML ( ASML - Get Report), Lam Research ( LRCX or Teradyne ( TER. These stocks are all breaking out. And that means they are getting tons of orders, and if you are a semiconductor company, you don't order spanking new heavy equipment to make more chips if you are simply restocking or if there is double ordering. I have always regarded this group as the single most levered group to tech. When you see it moving, you should be thinking longer-term cycles than if you just saw Western Digital ( WDC - Get Report) or Cypress ( CY - Get Report) or Seagate ( STX - Get Report) move. These stocks are far more sensitive to long-term growth than SanDisk ( SNDK or Cree ( CREE - Get Report) and of course Nat Semi ( NSM, Texas Instruments ( TXN, ON Semi ( ONNN, Analog Devices ( ADI or Avnet ( AVT. I don't know a soul on this site who shares my enthusiasm for tech. I am not pulling rank here. A whole bunch of you have been in the business for years and years. But to ignore a breakout of an AMAT or a KLAC is to ignore that things underneath are heating up, not cooling down. This group's the ultimate tell that we are on the verge of another ramp up in tech and you better start taking advantage of it, and use temporary weakness like that in Intel to snap some up before the preannouncements of better-than-expected orders begin. Three days ago, Exxon ( XOM - Get Report) made an historic buy of XTO ( XTO. Now because of the strong dollar, all of the stocks that have run are down. Doesn't matter that it is cold as all get out. Doesn't matter that natural gas futures are on fire. Doesn't matter if we have received some proclamations from governors that drilling in the Marcellus is "all systems go." These stocks get hammered because all stocks are now soybeans and corn. This is precisely when you take advantage of the commoditization and choose your favorite natural gas stock or driller. I think that Halliburton ( HAL - Get Report) and Nabors ( NBR - Get Report) work, but you know all of the natural gas players work too. 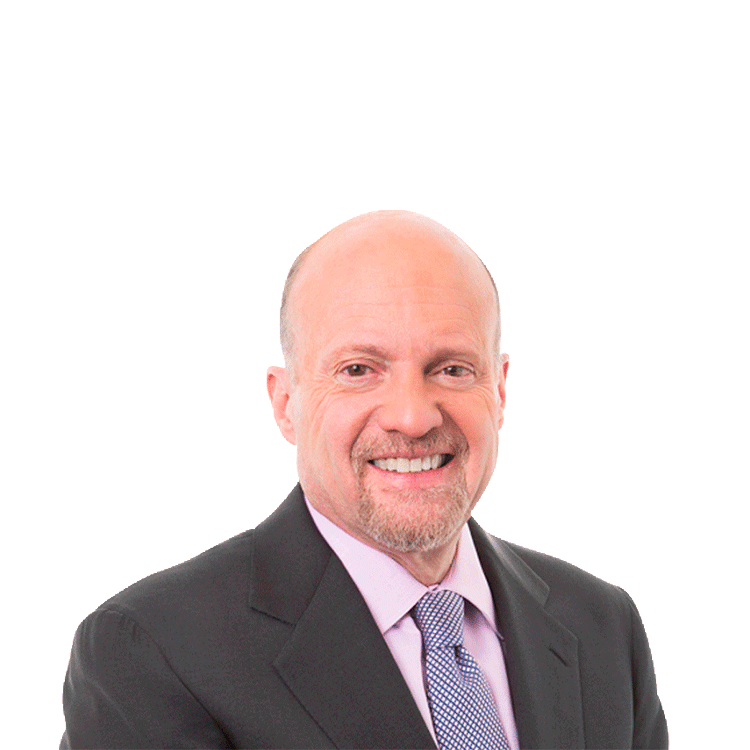 Jim Cramer is co-founder and chairman of TheStreet.com. He contributes daily market commentary for TheStreet.com's sites and serves as an adviser to the company's CEO. Outside contributing columnists for TheStreet.com and RealMoney.com, including Cramer, may, from time to time, write about stocks in which they have a position. In such cases, appropriate disclosure is made. To see his personal portfolio and find out what trades Cramer will make before he makes them, sign up for Action Alerts PLUS. Watch Cramer on "Mad Money" weeknights on CNBC. To order Cramer's newest book -- "Jim Cramer's Stay Mad for Life: Get Rich, Stay Rich (Make Your Kids Even Richer)," click here. Click here to order "Mad Money: Watch TV, Get Rich," click here to order "Real Money: Sane Investing in an Insane World," click here to get "You Got Screwed!" and click here for Cramer's autobiography, "Confessions of a Street Addict." While he cannot provide personalized investment advice or recommendations, he appreciates your feedback and invites you to send comments by clicking here.